Is 2012 the year of the mobile? Maybe it is. I have been thinking a lot recently about mobile ‘friendly’ website design Vs Responsive design, and what is the correct design to use. A lot of businesses are going ‘mo (the cool word for mobile) this is mainly because over the past two years alone, mobile search traffic has increased five-fold! Customers are searching for business’s from mobile phones nowadays because it’s so easy for them do this. Companies will need to engage users with a mobile experience designed for completing on-the-go tasks from their small screens. Mobile sites need to be engaging, quick, informative and thumb friendly! The moment a user is unable to find information they require on the landing page they are more than likely to bounce the page and search again, and land on a competitors page, which is obviously the last thing you want. There is a bit of an emerging trend among web developers called responsive design and if they should use it. 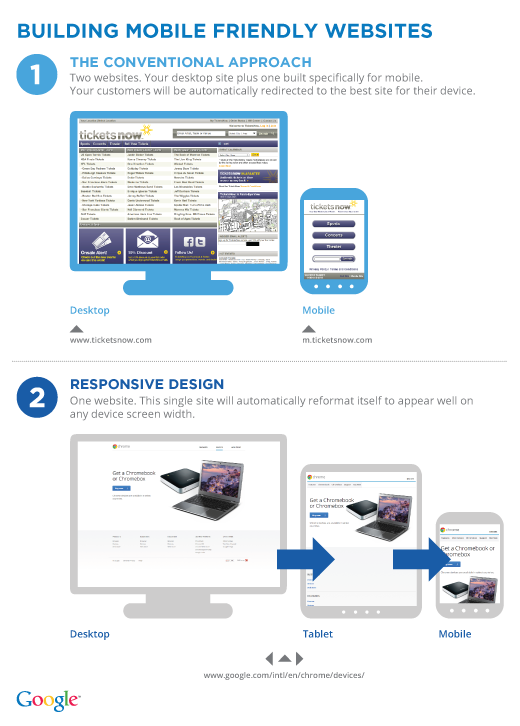 What is responsive design i hear you cry? Well, it is a website design technique that allows you to create a single website that will adapt to the device on which it’s being viewed, whether it’s a laptop, smartphone or tablet. A site built with responsive design will automatically resize for different devices, but it is up to you to prioritise the content that matters most to the mobile user. A good example of this is when a mobile user might need to quickly find your contact number or directions to your office, where as a tablet user might want a simpler way to make couch-surfing purchases/enquiries. 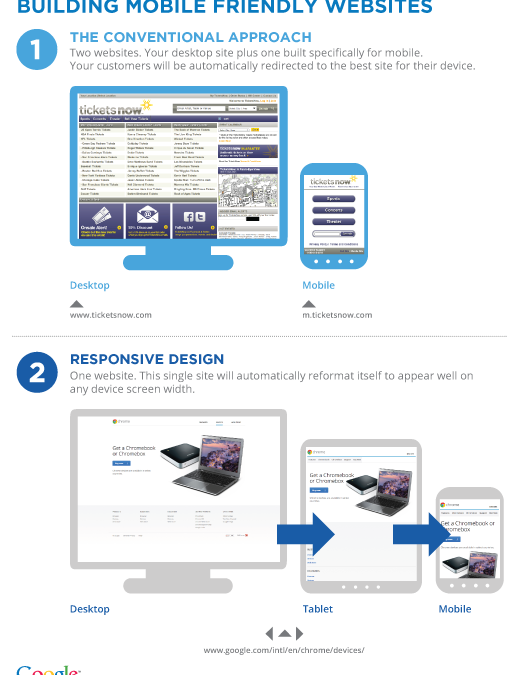 A site built using responsive design could prioritise click-to-call and click-to-map buttons, while the tablet site would focus on simplifying the shopping basket. I think that building a separate mobile site can be a suitable solution, it’s also really important to understand how responsive design might fit into your plans to Go Mo’. It really does depend on your business, and the direction its going in. The moral of this blog is: Whether we like it or not the times are changing and mobile searches now play a big part in our lives and we have to change with these times. I dont think there is a need to panic, but do ensure that your website is mobile friendly and is providing your customers with the simple things – such as contact numbers and an easy booking process via mobile. As always any questions please feel free to get in contact.